The Yamaha YZF-R15 v3 will be launched in India within the next three months. 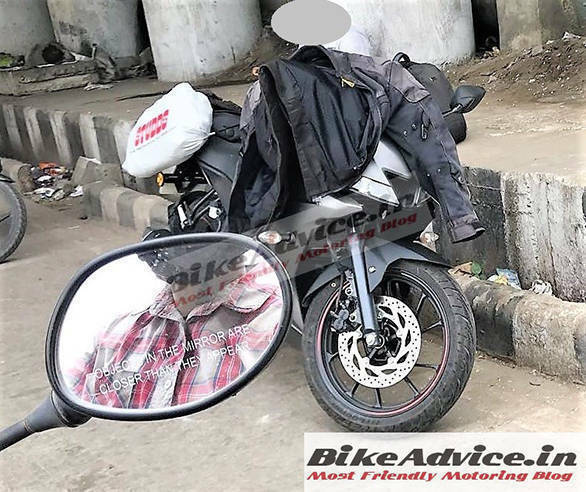 As a recent spy shot of the India-spec Yamaha YZF-R15 v3 reveals, the new motorcycle from Yamaha India will not have ABS. At the same time, the union ministry of road transport has made ABS mandatory for all two-wheelers to be launched in India April 2018 onwards. Since the test mule in the spy shots does not appear to have ABS in place, it is likely that the Yamaha R15 v3 will be launched before April 2018. In addition, the India-specific test mule also has cheaper tubular mounts for the pillion footpegs, as against the cast aluminium parts seen on the Indonesian version. For more information, see our detailed breakdown of the India-bound Yamaha YZF-R15 here. Similarly, the latter's upside down forks have also made way for more cost-effective conventional forks on the spied Yamaha YZF-R15 v3. This means that the new R15 v3 will be priced at a slight increment over the existing Yamaha YZF-R15 v2. With the pricing being closer to the current R15 model, we expect the v3 to replace the v2, rather than the latter being rebadged as the new R15-S and being sold alongside it. We estimate that the R15 v3 will be priced around Rs 10,000 higher than the v2.